In the case of businesses dedicated to facilitating payments between individuals, the choice of which blockchain to use and which fintech to hire is of vital importance for their growth. However, the relationship between crypto and fiat based fitnechs has concluded with a growth in exposure of digital currencies. In the case of blockchains specialized in providing solutions to banks and payment providers to process cross-border transactions, 2 are the blockchains that currently dominate the sphere: Stellar and XRP. As explained above the sixth largest coin by market cap Stellar Lumens (XLM) concentrates on expanding its partnership list so its payment-transfer enhancing technology, which is being improved constantly by the team, is delivered to a wider reach. While creating the architecture it needs, the team behind the speedy coin is taking spotlight very often lately. Parallel it has experienced one of the best performances in the market. To get to what the title is highlighting and how there is a possibility that the pair XLM/USD could be changing hands at the high $1.00 mark soon, we have to start at the bottom. One of the key moves that the firm behind Stellar Lumens took during its life in the crypto-verse is teaming up with IBM. IBM announced the new “Blockchain World Wire” which delivers a “new financial rail that can simultaneously clear and settle cross-border payments in near real-time”. Before that, the tech giant made it public how by using the sixth largest coin blockchain technological solutions it is going to develop a stable coin that is supported 1-for-1 with the USD. Obviously, the above-mentioned could impact XLM price in the future planning for the long term. However, a surprise could be hiding just behind the door for all XLM token holders that keep them safe in their favorite digital wallets. Going back to a tweet three months ago, Coinbase announced that it is exploring various coins throughout the market which could be new assets to its listing. Being one of the largest and leading exchanging platforms in the globe, Coinbase deciding to add XLM as a trade option could hoist its value independently from the market’s trend that is taking place at that particular time. The impact that Coinbase has over a coin that follows-up its addition in the platform has been witnessed with ETC/USD performance. 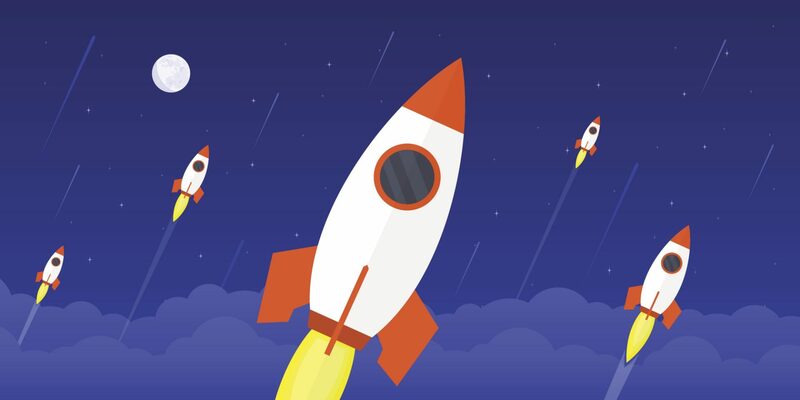 Technologically being one of the strongest and most promising coins, Stellar’s XLM is truly looking at a very good hand of reaching above the $1.00 in the mid term. Lightyear or Lightyear Corporation as acquired Chain Inc., which has resulted with both forming the new rebranded Interstellar. Interstellar will help organizations build on the Stellar Network; Stellar Development Foundation to remain independent. According to the medium Interstellar post. As highlighted in the blog post, Jed McCaleb – co-founder of Stellar Development Foundation will be CTO of Interstellar. Adam Ludwin – Chain’s CEO, will be Interstellar’s CEO.